I am new to ESP8266. To ease out the task of programming esp8266, I bought this: ESP-01 ESP8266 Programmer CH340G Chip USB WiFi Wireless UART GPIO0 Adapter. Configured Arduino Interface to run AT commands in the serial monitor. I flashed ESP8266 with the basic blink LED example. It worked fine for some time and later on gave this error. When i tried to flash another program on to ESP8266, I am getting the following error. Sketch uses 221,995 bytes (51%) of program storage space. Maximum is 434,160 bytes. Global variables use 31,568 bytes (38%) of dynamic memory, leaving 50,352 bytes for local variables. Maximum is 81,920 bytes. I could only find one article regarding this adapter. There he made a custom bridge soldering GPIO 0 to GND for ESP8266 Flashing. So should i make a removable bridge for the same, to upload a new program. Is there any other way to simplify this task? If you want to use programming mode, just switch to connect GND and GPIO0. 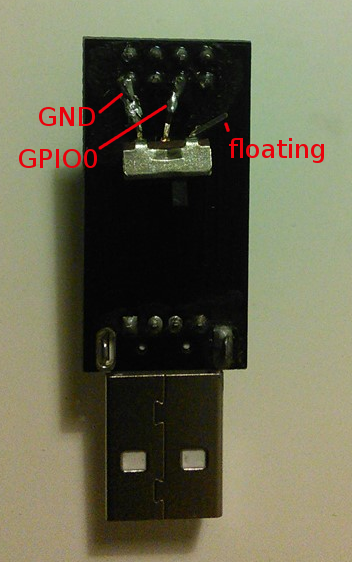 Switch back to use GPIO0 as IO pin (you may attach your F-F Dupont cable to the floating pin). Not the answer you're looking for? 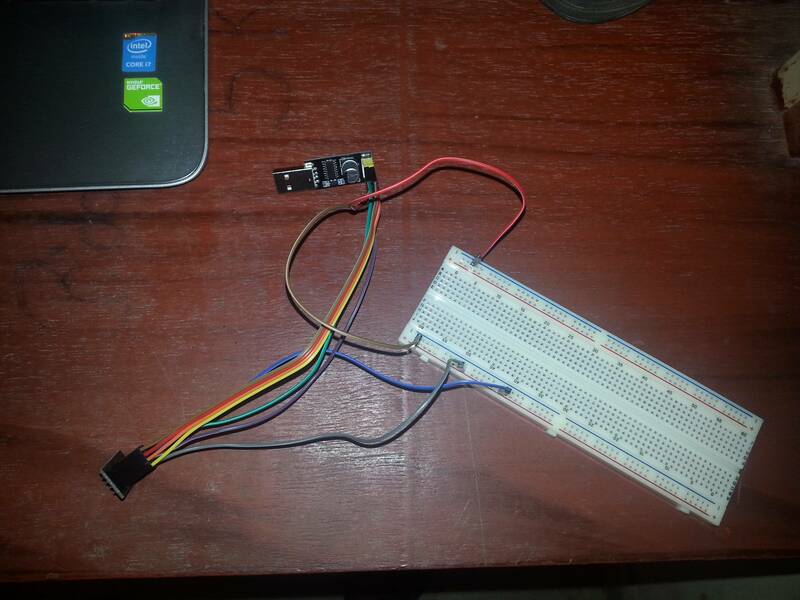 Browse other questions tagged esp8266 uart programmer ch340 or ask your own question. How to connect an ESP8266 using an ESP-01 adapter to an Arduino Uno?